Anti-Plastic. Boyfriend-consuming dustbins. Coral Desktops! Westminster Bridge! Mark Benton, shot to death in the middle of a Shopping Arcade! 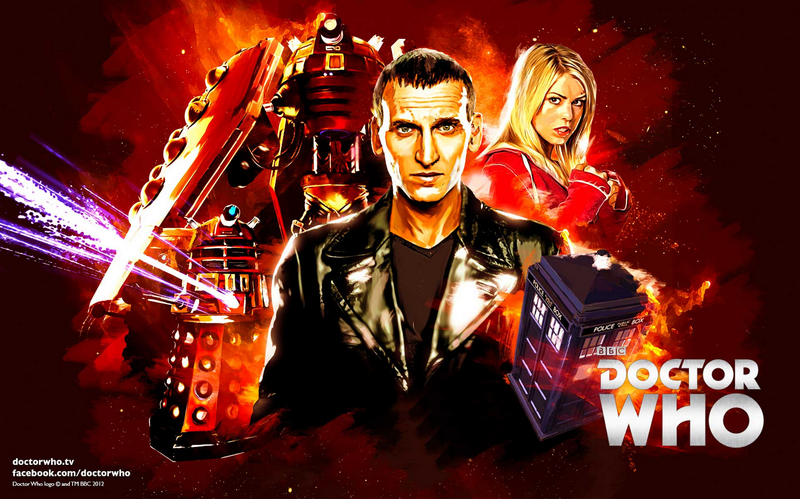 9 years ago today, Doctor Who returned to the world with the Ninth Doctor and Rose's battle against an Auton invasion. Were you watching? It's weird to think how long ago it all was - the thought of there being a time in my life where I wasn't a slightly crazy Who obsessive seems almost unimaginable - but there I was, 9 years ago on a Saturday night, cajoled into watching this remake of some weird old TV show my parents had used to watch as kids. I was familiar with fleeting images of it, the blue box, a man with impossible curls and an impossible scarf to match - but I was a cynical, rebellious teenager. I mean, if my parents liked it I almost compulsively had to think it was lame, right? It was probably going to be lame. The rest, as they say, is history. 13 weeks later I was there, Doctor Who magazine subscription confirmed, and a little Product Enterprise Dalek on my desk (back then, when Doctor Who merchandise was impossible to find! ), enthralled and in pangs of grief witnessing my first regeneration. You never forget your first Doctor, after all. Looking back, I can't even say that Rose probably holds up all that well these days, between the burping dustbin and plastic Mickey antics, but it'll always hold a special place in my heart as the start of my love of Doctor Who. I'll be popping in my blu-ray and giving it a rewatch tonight, that's for sure - Happy 9th, Rose.